Wow! This year has seen us not only win 'Chartered Broker of the Year' for the third consecutive year, but we have also been named 'Insurance Broker of the Year'. This award puts us up there with the biggest and the best of all brokers nationwide. This accolade is only awarded to companies that are at the very top of their game and can be held up as an exemplar of the excellence in the broking community to the wider society. Oops, we did it again! We have been named 'Chartered Broker of the Year' three years in a row, an unsurpassed achievement in the insurance industry. This remarkable feat truly recognises our passion for professionalism. The judges were impressed with our continued level of high standards and ethics. We are extremely proud to have received this award. To be shortlisted for this award demonstrates our dedication to providing support to all our staff in helping them achieve their personal career goals. We believe that training and development is a necessity and not just a box ticking requirement. Our succession planning has proven successful as our business developments has enabled consistency for the company and evidence for all staff that aspirations can be met. We were very pleased to have been shortlisted for 'The Claims Team Award' at the UK Broker Awards. This ceremony is a gathering of all the best insurers and insurance brokers in the industry, so to be listed in the top four for having the best claims team is a massive achievement for us! After our success at the UK Broker Awards we were delighted to be shortlisted for the Commercial Broker of the Year at the Commercial Insurance Awards. Being a chartered broker, we endorse the industry’s drive to improve the professional image of an insurance broker and we are confident our professional and ethical work approach has helped us be selected for this nomination. Being shortlisted for ‘Insurance Team of the Year’ is a great achievement for us as outstanding customer service is the focus of our business. The staff readily endorse the company’s ethos on this and our team constantly aims to please. It is due to their work ethics, passion and commitment that has helped us be selected for this nomination. For the second year running we have now picked up this prestigious award. We have continued to promote the importance of professionalism and education within our organisation and have not only achieved Chartered Broker of the Year status again but have continued to prove to our industry colleagues that our success and development as a professional brokerage is second to none. To be shortlisted for 'Commercial Lines Broker of the Year' at the UK Broker Awards is a huge honour and a great achievement. Considering the competition within this market it proves that we are doing something right in the Commercial Lines sector. 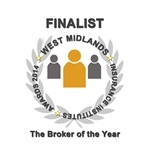 A huge achievement to be shortlisted from a number of very good brokers for this years West Midlands Insurance Broker of the year. For the third year in a row we are very proud to be shortlisted for this award. Our claims team deservedly receive the recognition for all of their hard work this year. This award shows that a panel of experienced insurance industry judges felt that we have not only achieved Chartered status but we are proving to our industry colleagues that our success and development as a professional brokerage is second to none. Having been shortlisted for various claims awards in the past it is great that we have been recognised as having a top claims service once again. Over the years we have demonstrated our success through our various schemes and now almost in recognition we have been shortlisted for the 'Schemes Broker of the Year Award'. This is the first time that we had entered for the Commercial Insurance Awards,so we were delighted to come away with the award. The judges were very impressed by the outstanding feedback that we have received and the range of solutions that demonstrate that we will go the extra mile for our clients. 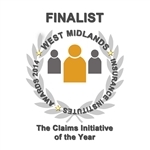 Our claims team were proud to be recognised as best of the best in the Midlands region and we have no doubt that they are one of the best on a national scale also. 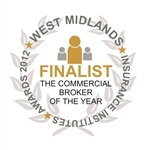 We were very proud to be one of the few shortlisted brokers offering commercial lines services across the Midlands. This award backs up the excellent service that our Commercial Lines team demonstrate. 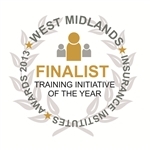 A great attempt achievement to be shortlisted from many brokers across the Midlands. This shows the commitment we have towards the training and development of our staff. These prestigious awards are open to every UK insurance Broker, so we were thrilled when the judges highlighted our achievements in this category and awarded us Highly Commended Chartered Broker of the Year! We were very happy to be shortlisted from hundreds of midlands brokers for this award. Much thanks to all the positive feedback that we received from our clients over the past year. Having been up against tough competition in a fiercely competitive sector we were proud to have been nominated to win this award. This award signifies the recognition and strength of our Pi-Property Insurance product within the UK Property Management and Block Insurance Market. This award shows that our commercial lines team were recognised on a national scale, within an extremely competitive sector, for the brilliant service that they provide. 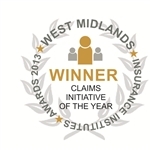 This accolade given to our claims team shows that the claims service we provide to our customers is one of the best available in the whole of the UK general insurance sector. Customer service is imperative in any industry and without exception we always put the customer first! The Coventry Telegraph Business Awards recognised the high level of customer service that we provide. Winners at the UK Broker Awards for the second year running. This time for improving our service via technological innovation and setting a level for others in the industry to follow. We are extremely proud to have received this award! We started our collection of awards with the 'Claims Service of the Year Award'. 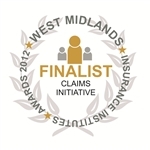 To be identified as having the best Claims Service in the whole of the UK is such a huge achievement!